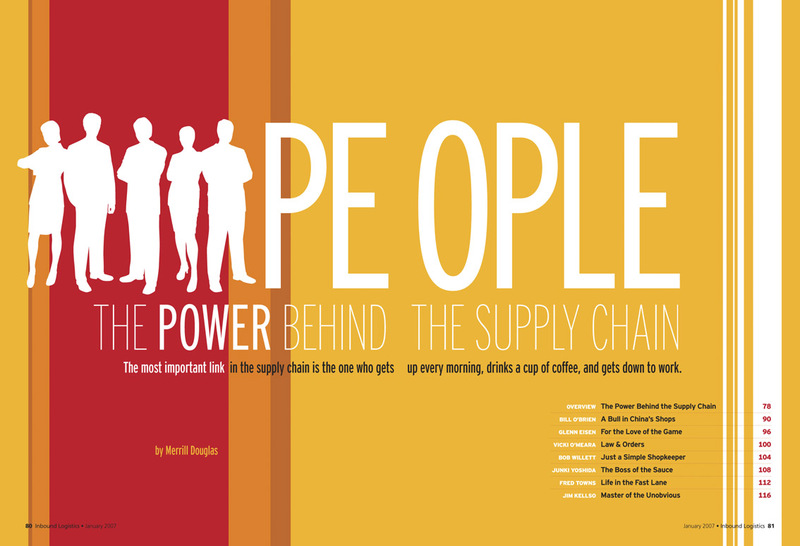 30+ page special magazine section focusing on individuals as the driving force behind the supply chain. 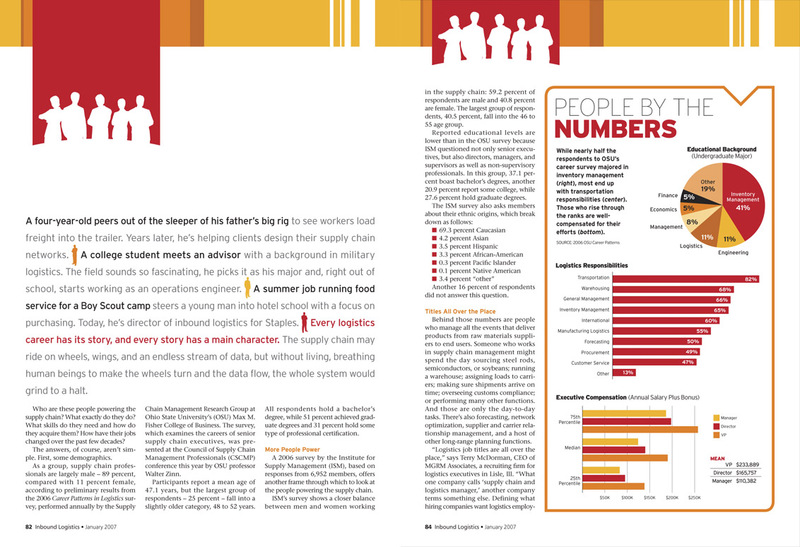 Each year, Inbound Logistics’ 500-page January issue has a main theme, represented by a special section within the feature well of numerous stories—often totaling 30 or more pages—centered around that theme. 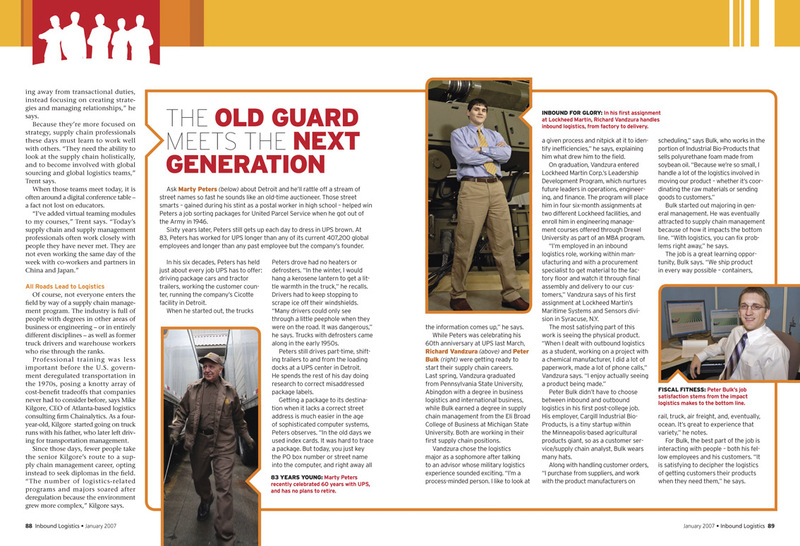 In 2007, the magazine turned its focus on the people, rather than the practices or the technology. 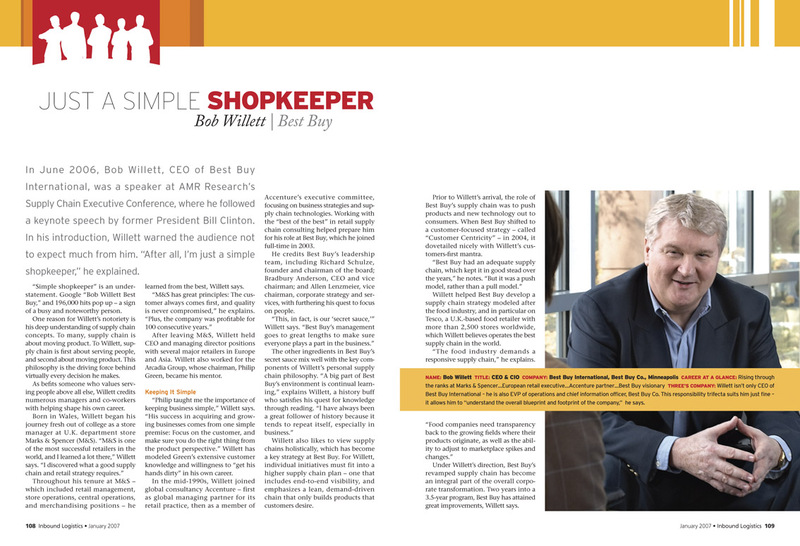 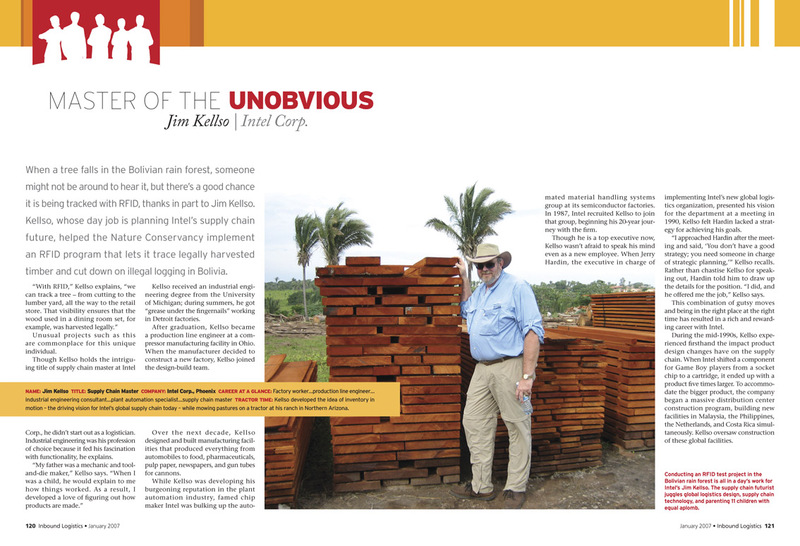 The section begins on an opening spread (above) with it own mini-TOC, and continues through an introduction section, followed by profiles of individual movers and shakers impacting the supply chain both in their company, and industry-wide.